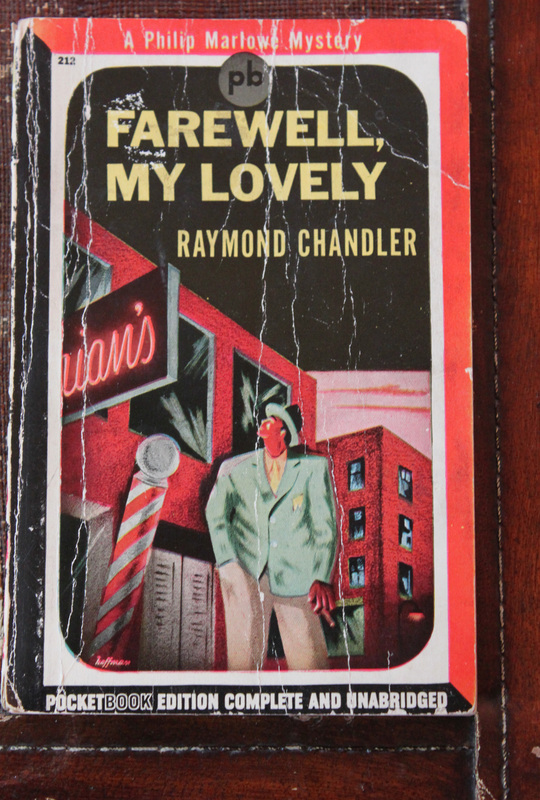 I would like to have subtitled this book: “Turmoil, Torment, and Triumph in the Life of Raymond Chandler.” A bit florid perhaps, but accurate, as I think you’d agree if you read it. Ray excelled at his studies and was highly motivated. He especially enjoyed reading the classics. He would probably have continued to do well at the college level, but there was no money to finance his higher education. After a fruitless search for work that would be both satisfying and remunerative, he decided to try his luck back in his native land. His mother came with him. The voyage to America proved fateful. On board the ship, Ray made the acquaintance of Warren and Caroline (Alma to her friends) Lloyd. The Lloyds were intelligent, cultured, glamorous, and very, very rich. Ray quickly became caught up in the young family’s life. The Lloyds, for their part, welcomed Ray— their daughter, Estelle, developed a mild crush on him— and together they talked about France and Germany, Europe and America. 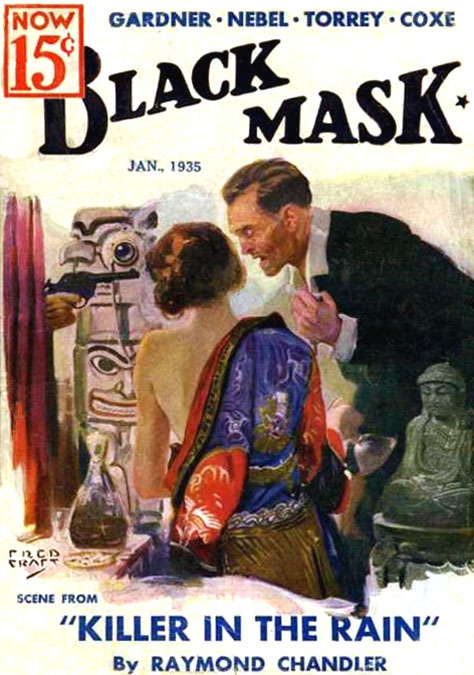 Warren and Alma told Ray about the city they were heading back to, their home, and a place that would forever become associated with Raymond Chandler: Los Angeles, California. Tom Williams adds: “They were obviously proud of Los Angeles and, at one point, suggested that Ray might want to move there.” At that point in his life, Ray did not know what was in store for him or where he would end up living. But the Lloyds’ suggestion stayed with him, and after a restless sojourn through several other parts of the country, he ended up after all in the City of Angels. The Lloyds welcomed Ray and his mother with open arms, even going so far as offering to share their home with the newcomers. Ray and Florence took them up on this extremely gracious invitation. The Lloyd home served as a sort of moveable salon for artists and writers. It was there that Ray met and befriended Gordon Pascal, with whom he would enlist when World War One broke out. Gordon’s father Julian was a pianist; he occasionally accompanied Alma Lloyd, who had a lovely singing voice. Julian’s wife, and Gordon’s stepmother, was also a pianist. 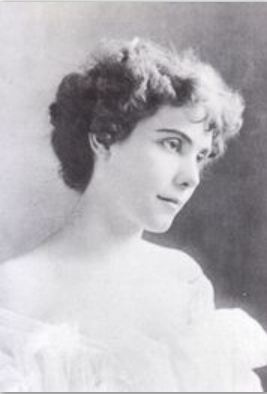 Her given name was Pearl Eugenia, but she preferred to be called Cissy. When Gordon and Ray returned from the service, Ray had to acknowledge that he had fallen in love with Cissy Pascal. Florence Chandler was outraged by this development; she considered Cissy to be her own friend and an entirely inappropriate love interest for her son. Ray’s mother died in 1923, and he proceeded to marry Cissy, who had divorced Julian, the following year. At the time of the ceremony, Cissy told the pastor that she was forty-three. She was actually ten years older. Ray was thirty-five. Ever since his time in England, Ray had entertained thoughts of becoming a writer. At the time of his marriage, his output had largely consisted of poetry. In the meantime, he was also very good with numbers and held various positions having to do with bookkeeping and accountancy. He achieved a position of considerable responsibility (and excellent pay) with an oil company syndicate, but his problems with alcohol, bad behavior around female employees, and other difficulties resulted in his being fired. This happened in 1932. Money, or lack of it – always a problem – precipitated a crisis in his and Cissy’s household. As with most aspiring writers, Ray was also a voracious reader. 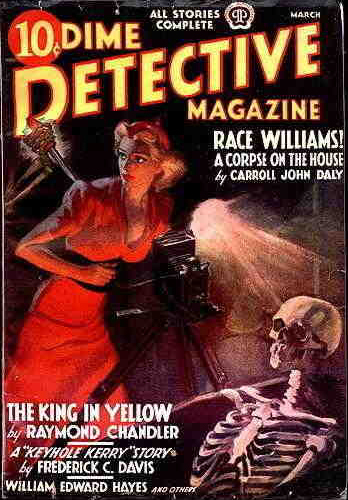 He was well acquainted with the ‘pulps,’ magazines printed on cheap paper and filled with fast moving action stories. 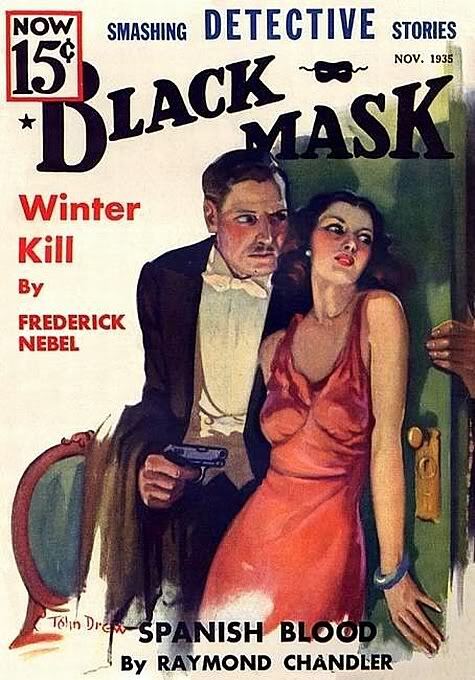 He knew and admired the work of Dashiell Hammett and others who supplied those stories to magazines like Dime Detective and Black Mask. He thought that if he could produce a few of these often lurid tales and get them accepted for publication, he could make some money from the enterprise. In addition, he could hone his writing skills, with a view to eventually producing a serious work of literature. 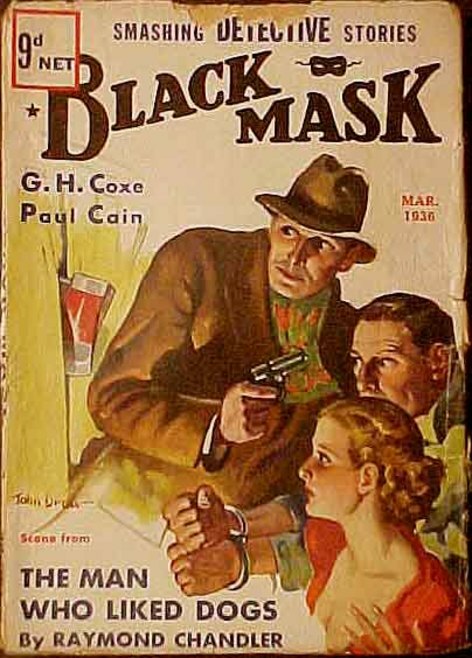 “Blackmailers Don’t Shoot” appeared in Black Mask in 1933. The rest, in a manner of speaking, is history. 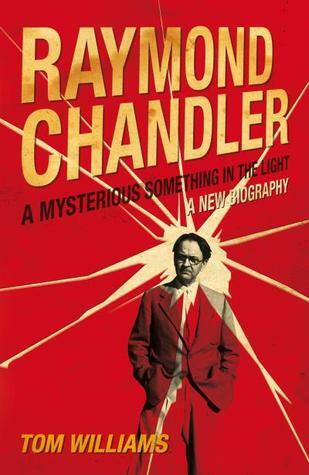 One of the things I really appreciate about Tom Williams’s highly readable biography is that he pays close attention to the evolution of Raymond Chandler as a writer. Writing did not come easily to Chandler; he agonized over every sentence he composed. Yet what comes through to the reader is not agony but artfulness – or just plain art. 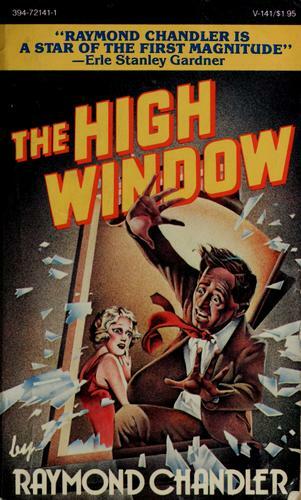 Raymond Chandler was a flawed person. The casual flashes of racial denigration that appear from time to time in both his fiction and his letters do him no credit. Although he loved Cissy, he had frequent affairs. In addition to all this, his struggle with alcoholism was lifelong. With Cissy’s death in 1954, he lost all control. Despite the efforts of friends who cared deeply for him, he entered a downward spiral of alcoholism and depression, culminating in his death five years later at the age of seventy. 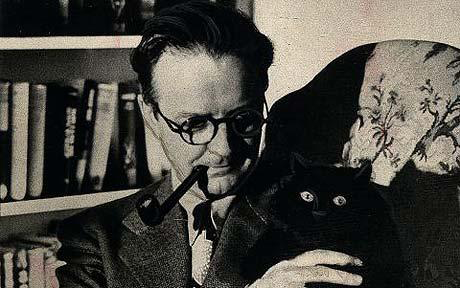 Nevertheless, in the teeth of great obstacles, some – but not all – of his own making, Raymond Chandler the writer emerged triumphant. With each apparently futile attempt to write something other than a crime novel he managed to expand the boundaries of what it was possible to achieve within the genre and, in so doing, turned it into art. 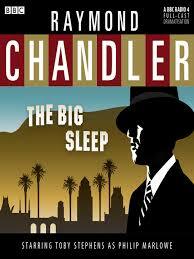 Chandler was honored several times over last year in a poll conducted by the Crime Writers’ Association of Great Britain. Wikipedia has a comprehensive list of Chandler’s works. Nice review. I’m reading Williams’s bio now and find it a solid, workmanlike job. 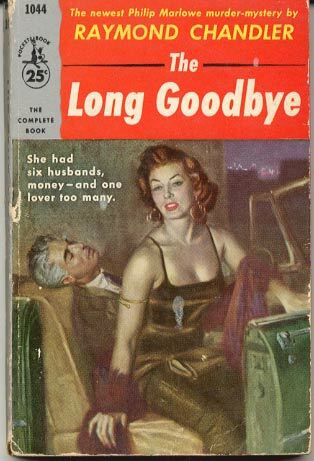 I also enjoyed Judith Freeman’s The long embrace : Raymond Chandler and the woman he loved.